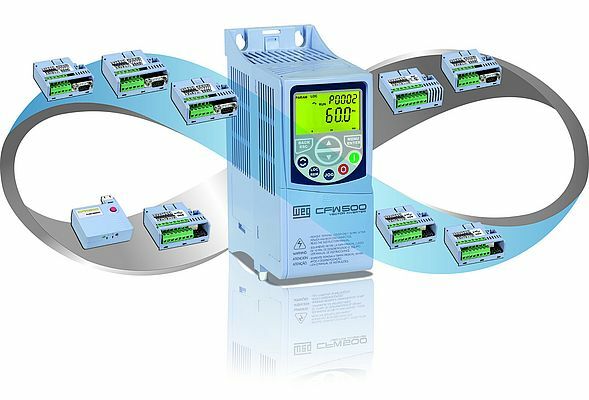 To enable users achieve further energy efficiency in a wide range high-power applications, WEG has expanded its CFW500 series of variable speed drives (VSDs). The new E frame size for the rated power range 18.5 kW - 22 kW is a great fit for applications such as mechanical engineering systems for conveying, turning, hoisting, pumping and ventilation. “In light of EN 50598, the new standard looking at Ecodesign for power driven systems and their applications, an integrated approach to electrical drive technology is becoming more widespread and VSDs are particularly sought after across broader sections of the industrial market,” says Johannes Schwenger, Head of Product Management Low and Medium voltage Drive Systems Europe at WEG.